ST. PETE BEACH – So maybe it was a lightly-contested field or a win by default. It doesn’t matter. I won $75 in a competitive race. Today I am a professional athlete. The Pacifico Paddle Challenge took place Saturday afternoon on a postcard-perfect day in front of, appropriately enough, The Postcard Inn. Shane “Waterboy” Webb, a co-owner of SUPPaddleboard.com, promised $3,000 in cash awards, $3,000 worth of raffle prizes, and a free pig roast – all for a $45 pre-registration fee (or $50 raceday). Webb delivered on everything. At a time when your average obstacle mud run charges $75 (providing no food) and triathlon entry fees continue to escalate, SUP races are the best value in endurance sports. Admittedly, they have to be because they’re not drawing huge numbers – yet. That’s how I knew I had a shot at prize money. In July, I entered one of Webb’s SUP Splash Series races at the same venue and was stunned to hear my name called at the awards ceremony since I finished last in the elite 6-mile race. But I was the only entrant in the “stock board” category. Unlike the rest of the athletes, who competed on sleeker, faster “race boards,” I used a slower board, although my Yoloboard Eco Trainer is a terrific stock board. Some compare racing a stock board in an elite race to riding a mountain bike in a triathlon. The difference probably isn’t that pronounced, but there’s no question you’re significantly slower on a stock board. Since July, I’ve acquired a race board and considered riding it Saturday – until I realized there was prize money for the stock division: $150 for first, $75 for second and $50 for third. (Top three men and women won money in the race board division, starting with $700 apiece for the first-place finishers). The 3-mile race featured athletes mostly with stock boards. Upon checking in, I learned that the most I could hope to win in the 5-mile race was $75 unless at least four athletes competed in stock boards. That seemed only fair. When we lined up on the beach for the mass start – paddleboard race starts make triathlon swim starts look tame since everyone is swinging carbon fiber and trading epoxy – I noticed just one other stock board. I had a competitor for $75. That guy fell behind quickly and bowed out before the race ended. I stayed in front of eight or 10 race boards for most of the race, but could not keep up on the third lap, finishing ahead of just four. I love the race format of the Pacifico race, which borrowed from California’s Battle of the Paddle. After each of the first two 1.7-mile laps, athletes exited the water, ran 40-yards with their paddles as “board caddies” turned their boards around, and reentered the water. 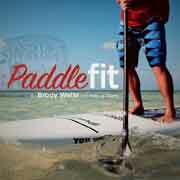 It’s SUP’s answer to the NASCAR pit stop or the triathlon transition. After the 5-mile race, Webb staged one last event: the “Dash for the Cash.” Competitors sprinted about 200 yards to a buoy and back. Hundred bucks for the male and female winners. Best part of the day was seeing a 12-year-old racer go absolutely nuts when his raffle ticket was called for the surfboard – about 15 minutes after a wedding ended on the beach in front of us. It’s tough to say how long SUP races can keep offering cash prizes. Love the idea, and there seems to be enough sponsor interest from the likes of Pacifico beer to make it work for now, but it’s always a challenge to make the numbers work for any race director in any endurance event. For now, cash is a great thing. It makes the race more interesting and attracts the professionals. For all the talk about saturation in the number of triathlon, running, and obstacle mud run events, one part of the endurance sports industry still is on the upswing: stand-up paddleboarding. That’s why it’s perhaps no surprise that there’s a lot of buzz surround the Pacifico Paddle Challenge, which takes place on Saturday, Nov. 12 on St. Pete Beach just in front of The Postcard Inn. It helps that race organizer Shane Webb and his colleagues at SUPPaddleboard.com put on a successful series of races throughout the Southeast this summer. It helps that Tampa Bay weather right now is gorgeous. And it definitely helps that there’s both $3,000 in prize money and $3,000 in raffle prizes, part of an all-day SUP extravaganza. The race borrows its format from the popular Battle of the Paddle, the Super Bowl of SUP, with a technical, multi-buoy, multi-lap course. 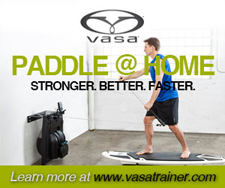 Racers must exit the water after every lap, run a brief 40-yard lap with their paddles and reenter the water. Like a NASCAR pitstop or triathlon transition, it’s a challenge not to lose time in the process. We spoke to Webb about the race earlier this week on The Fitness Buff Show. 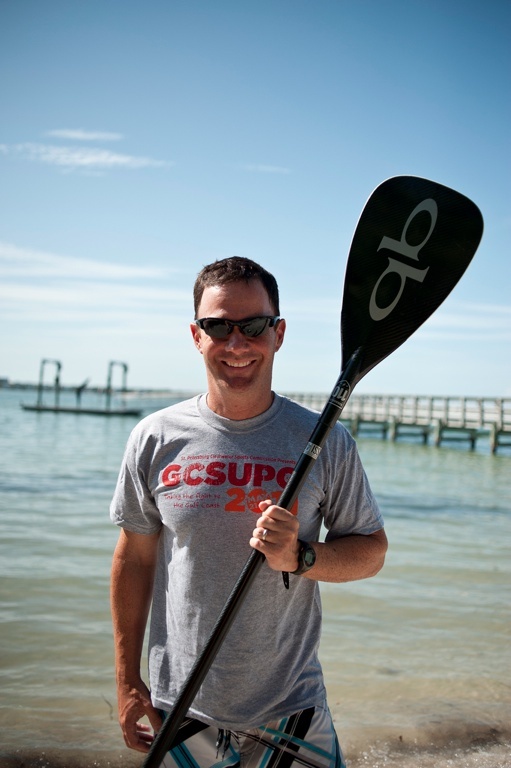 History: This is an inaugural event, though the organizers put on the successful SUP Splash Race Series, which included an event at the same venue on July 16. Format: Races include a 3-mile short course race at 11 a.m., a 5-mile elite race (12:30), and a “Dash for the Cash” at 2 p.m. Prize money awarded equally to men and women in the 5-mile and Dash for the Cash. Mandatory racers meeting at 10:30. Amenities: Long-sleeve T-shirts to first 70 registered. Pacifico After Party at 3 p.m. Awards at 4:30, raffle at 5:30 and playing of the “Ultimate Wave Tahiti” movie at 6:00. With the possible exception of adventure mud runs, no segment of the endurance sports race scene has boomed more in 2011 than stand-up paddleboard races. Here in Florida, it’s possible to find one virtually every weekend and there’s now even a regional SUP series to keep up with demand. 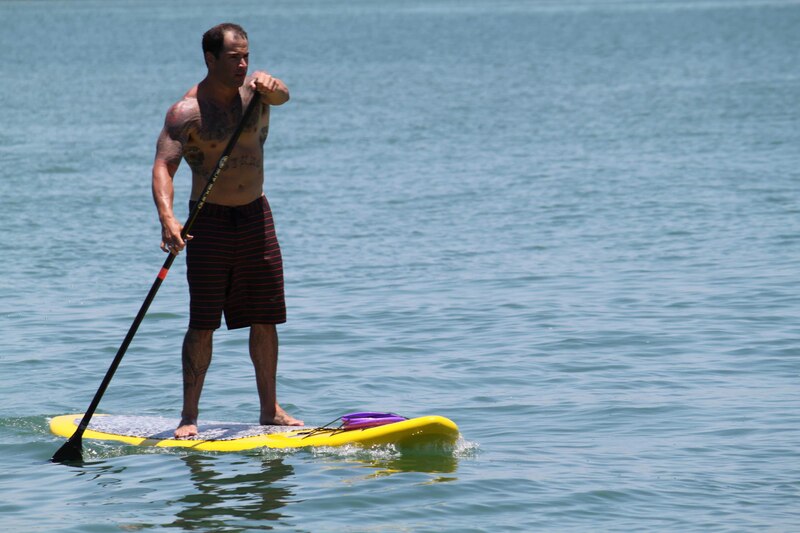 The SUP Splash Race Series, which debuted last month at Lake Lanier in Georgia, comes to The Postcard Inn on St. Pete Beach on Saturday, July 16 at 9 a.m. The race is organized in part by Karen Mirlenbrink, owner of the Dunedin Pilates Studio and an accomplished paddler who recently joined us to put us to talk about the race on The Fitness Buff Show. History: This inaugural race is the second in the five-race SUP Splash Race Series, which includes two races in Georgia and a season-ending event Oct. 1 in Chattanooga, Tenn. The St. Pete race benefits Surfrider Foundation, a non-profit grassroots organization whose mission is the protection and enjoyment of the worlds oceans, beaches and waves with conservation, activism, research and education. Format: Six-mile elite race and three-mile open races open to SUP, outrigger, and kayak. Schwag: T-shirts plus weekend-long goodies. There’s “Welcome Night” packet pickup on Friday, July 15 from 6 to 9 p.m. at The Postcard Inn sponsored by Barefoot Wine. 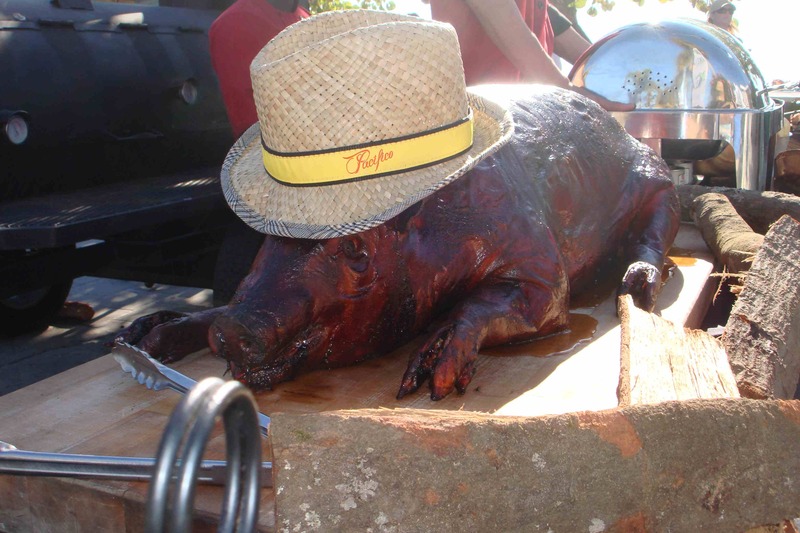 Free appetizers and beverages for racers ($10 for guests). Race entry includes lunch, beer, and awards on Saturday. There’s also a concert later in the afternoon. 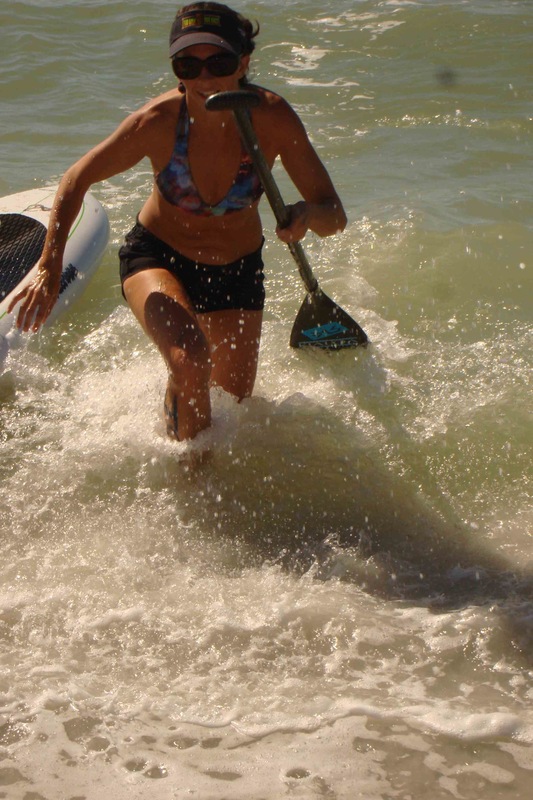 Signature Feature: St. Pete Beach is quickly becoming a popular destination for SUP racing with its calm flat water. Course also goes into Treasure Island.